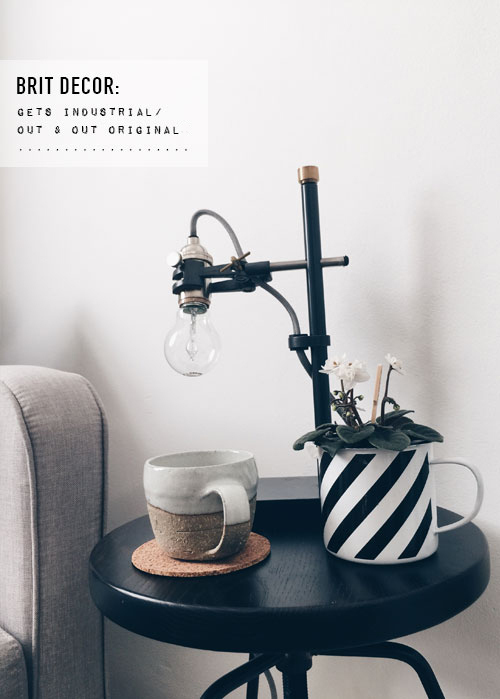 Industrial styling is here to stay. Once preserved for loft living and trend-setting urbanites, this powerhouse of interiors styles has now well and truly infiltrated suburbia and beyond - courtesy of exciting high street finds and some eye-popping collections *high fives*. As a minimalist at heart, I love the raw simplicity of industrial styling with exposed brickwork and swathes of concrete throwing grainy textures in every direction. But how to translate this 'look' on a smaller scale? 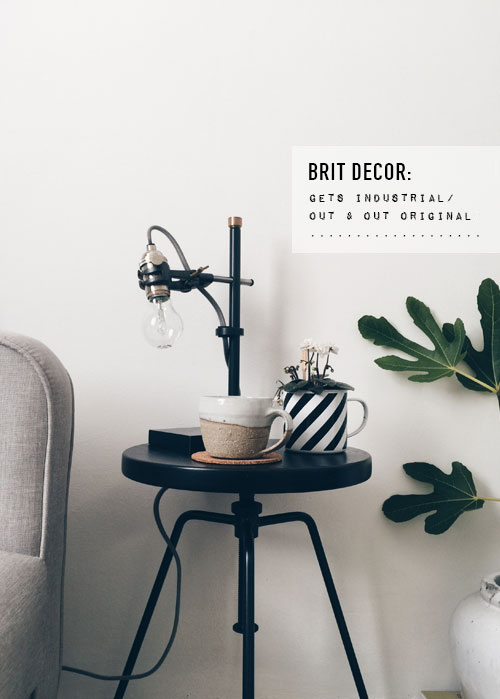 When I was recently approached by Out & Out Original, an online store specialising in contemporary designs for eclectic British tastes, who asked me to demonstrate how to apply some industrial-inspired accessories at home, I took an industrial leap at the chance to roll up my stylist's sleeves and set to work! 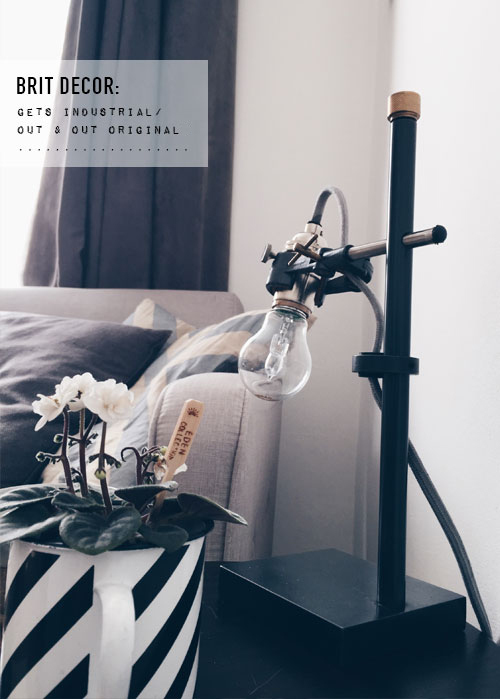 My regular readers will know that I live in a cottage, so the challenge was to incorporate their Lab desk table lamp and the Briggs black adjustable stool into my own home without either of these industrial-inspired items looking out of context. Easy-peasy, no seriously, it was! I love the idea of versatile and multi-functional furniture pieces, and the Briggs stool doubles up as the perfect compact occasional table. 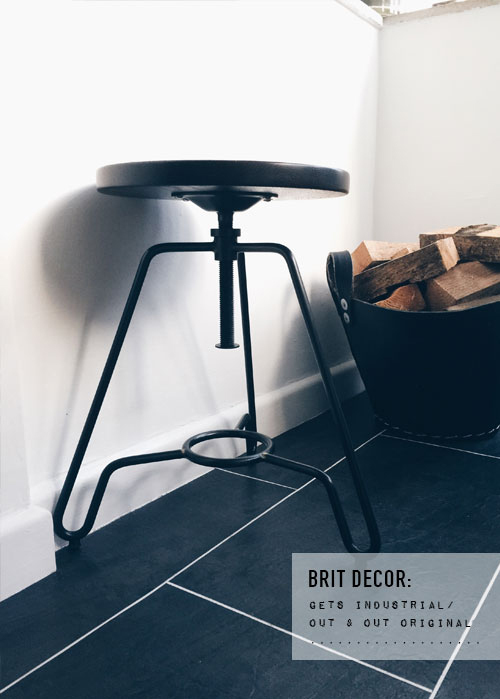 With it's solid steel framework and rich black wood, this stool has a surprisingly commanding presence. Another great way of creating impact in a room is to explore the potential partnerships between accessories and furnishings - experimenting is a huge part of the fun! I found that placing the Lab table lamp on top of the stool offered the perfect 'fit' and a double-whammy in stylistic terms. 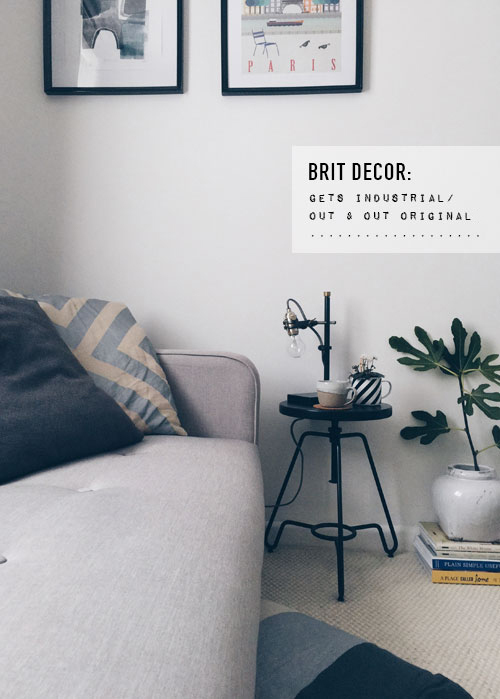 Aware of the surroundings and the need to keep a check on over-industrialising, I incorporated a super-cute African violet planted in a mono-striped enamel mug, along with a natural wool rug I picked up in Vienna, to soften the tone and keep a homely feel.